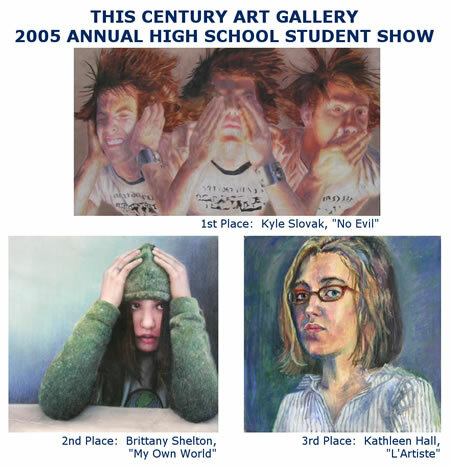 139 entries by 102 students from the five Williamsburg area high schools were accepted into the 2005 High School Student Show. Robert Hawkes, Professor of Art at Tidewater Community College served as the judge. Awards for 1st, 2nd & 3rd places as well as 8 Merit Awards, 12 Honorable Mention Awards and one "People's Choice" Award will be posted after the Student Awards Reception on November 22.